Batti Gul Meter Chalu Posters: Different Shades Of Shahid Kapoor And Shraddha Kapoor On Display. Seen Yet? The trailer of Shahid Kapoor and Sharddha Kapoor's upcoming film Batti Gul Meter Chalu will be unveiled tomorrow (August 10) and the actors are keeping no stone unturned to promote the movie. The actors have been continually sharing new posters from their film on social media, making fans very curious about their upcoming venture. In one of the posters, Shahid wrote: "Kaun kehta hai kanoon ki batti gul? Ab hoga insaaf chaalu! Get ready for the Roller coaster! Hamari film ka ye naya poster!! Batti Gul Meter Chalu, Kal se trailer chalu." Besides Shahid Kapoor, the poster features Shraddha Kapoor, Yami Gautam and Sameer Soni. "Sharddha captioned another poster from the film as:" Bike chalu ho na ho, kal se trailer toh chalu hoga." Each poster shared by the actors have one thing in common, they reminds us about the trailer release date, which is tomorrow. Earlier in the day, team Batti Gul Meter Chalu had unveiled the first poster of the film along with a reminder of the film's trailer release date. Shahid Kapoor shared the poster on various social media platform and wrote: "It's current, it's light, it's shocking! Batti Gul Meter Chalu trailer will be out on Friday at 12:30 pm." 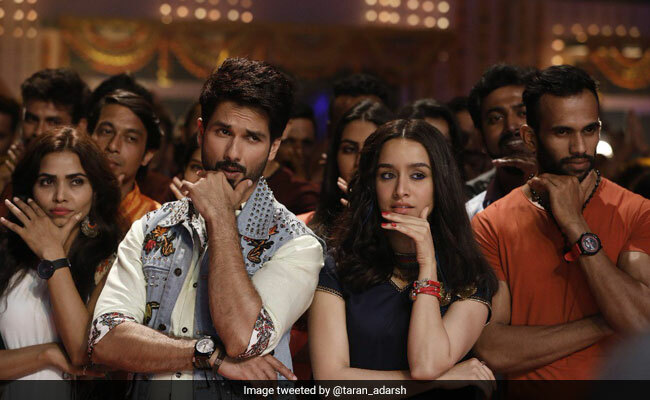 Shahid Kapoor and Shraddha Kapoor wrapped up the film's final schedule in Mumbai last month. The shooting of the film was delayed due to a tussle between Prernaa Arora's KriArj Entertainment and Bhushan Kumar's T-Series. After much delay, the film went on floors in February this year. Batti Gul Meter Chalu showcases the story of a common man (Shahid Kapoor) and his struggle against the power distribution companies over exorbitant electricity bills. Directed by Narayan Singh, Batti Gul Meter Chalu releases on September 21.